American Institute of Physics, 9780735404458, 228pp. Our workshop was divided in two important sections: (1) Sun and Heliosphere; (2) Stars and galaxies. The first section treated solar magnetic structures such as active regions, flares and CMEs, prominences and coronal streamers. Both observational and models works werepresented. 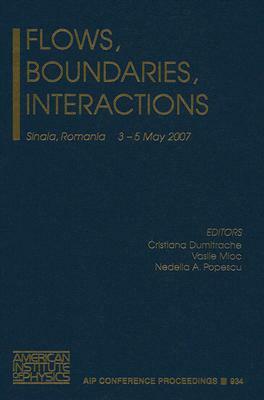 Flows, boundaries and interfaces were approached in numerical simulations. Interface between streamers and coronal holes and also solar corona rotation were deducedfrom SOHO data. Coronal waves and Sun quakes were also treated in a few papers. Some papers came from dynamical systems or differential equations formalism to solar physics or heliosphere phenomena study. This section had as invited speakers B. Schmieder, T. Forbes, K. Petrovay, S. Poedts, J.L.Ballester, I. Ballai, G. Noci, and S. Giordano. The second section was devoted to stellar studies, extragalactic astronomy and especially cosmology, having M.D. Suran as an invited speaker.